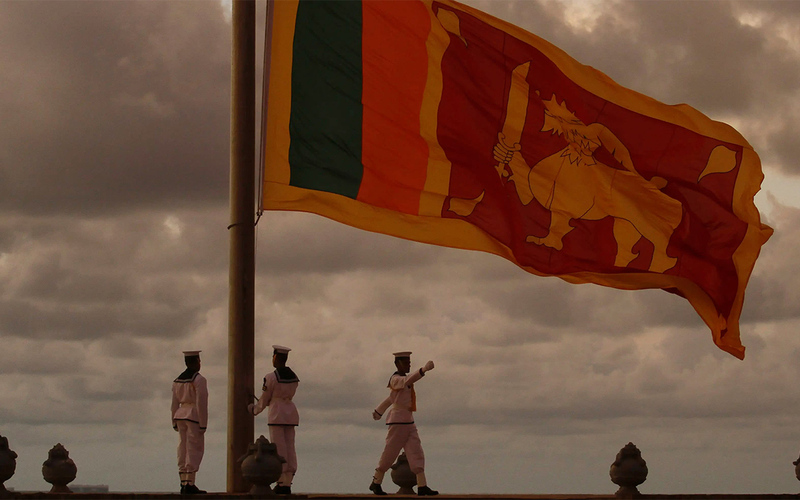 COLOMBO — Sri Lanka is turning to key Asian allies for a financial lifeline as a balance of payment crisis looms over the debt-strapped South Asian island. It is in discussions with India and China in a desperate effort to meet unprecedented foreign debt obligations. The Reserve Bank of India agreed earlier this month to provide a $400 million currency swap facility to the Central Bank of Sri Lanka. “The RBI’s very rapid and timely assistance will serve to boost investor confidence by supporting Sri Lanka to maintain an adequate level of external reserves,” CBSL said in a statement. On Thursday, Indrajit Coomaraswamy, the governor of Sri Lanka’s Central Bank, told a public forum in Colombo that both the RBI and the Bank of China are considering plans to scale up their respective offers to $1 billion each. “Sri Lanka’s friends, the two regional giants, have stepped up to support us in this time when we were pushed into a rather difficult corner,” he told the meeting hosted by the Ceylon Chamber of Commerce. Sri Lanka’s foreign exchange reserves were down to $6.9 billion at the end of last year, when investors were spooked by political turmoil that brought down the island nation’s ratings. Chinese banks have financed a number of major infrastructure projects in recent years. Verite Research, a Colombo-based think tank, estimates that China accounts for nearly 15% of Sri Lanka’s external debt, which was estimated to be around $53.1 billion at the end of 2018. The largest part of the country’s foreign loan portfolio is in dollar-denominated international sovereign bonds, estimated to be nearly 50%, followed by debts to Japan, the Asian Development Bank and the World Bank. Last year, Sri Lanka secured a $1 billion loan from China Development Bank. China’s central bank also offered the equivalent of $250 million in Panda bonds. “There are advantages for Sri Lanka to borrow from China, with an interest rate of 2%, [compared to] international sovereign bonds, where interest rates are expensive, at 6.29%,” Nishan de Mel, executive director of Verite Research, said at a seminar last week in Colombo when the Chinese debt situation was discussed. In recent years, RBI has stepped in to help Sri Lanka meet various liquidity and balance of payment crises. In 2016, it offered $700 million for a three-month period. The latest $400 million in financial assistance reflects New Delhi’s desire to protect close bilateral relations. The financial packages from China and India reflect their rivalry for influence in the strategically located Indian Ocean island. Since a civil war ended there in 2009 after nearly 30 years, China has been building a presence in what was traditionally India’s backyard. Sri Lanka’s many economic woes have been aggravated by self-inflicted political wounds. A “constitutional coup” staged by President Maithripala Sirisena towards the end of 2018 precipitated a major political crisis. The president summarily dismissed the prime minister in his coalition government and replaced him with a more politically popular successor who nevertheless lacked a parliamentary majority. Three top ratings agencies — Fitch Ratings, Standard & Poor’s, and Moody’s Investor Services — have downgraded Sri Lanka, raising the cost of international borrowing. Fitch moved Sri Lanka from B+ to B, which leaves it just four notches above default status. The International Monetary Fund reduced Sri Lanka’s prospects for raising money in international capital markets after it froze the final payment of a $1.5 billion bailout implemented in 2016. This week, the IMF agreed to review the suspended program after a Sri Lankan government delegation met with officials in Washington. “The IMF remains ready to support the Sri Lankan authorities in these endeavors and an IMF team is scheduled to visit Colombo in mid-February to resume program discussions,” Managing Director Christine Lagarde said in a statement on Tuesday.